This step-by-step manga art course for beginners makes it simple to learn the creative techniques behind the most popular Japanese comic style. One hundred and forty color illustrations, plus easy-to-follow directions, are divided into three sections: basic tutorials; how to turn raw ideas into finished comics; and projects from the masters, with exhaustive detail on producing professional-grade artwork. 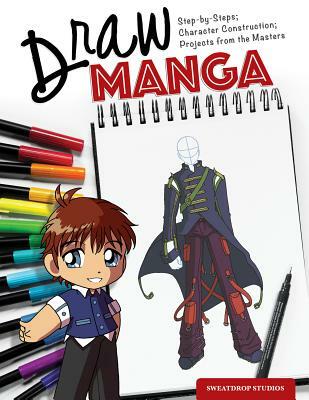 Draw Manga covers not only traditional media such as colored markers, pencils, and watercolors, but also computer-generated manga. And there's advice on special techniques for drawing the distinctive eyes and hairstyles that are the genre's hallmark, as well as on character creation, developing a first sketch, using color and motion, sequencing, pacing, and more.